OJ Simpson vs. Hot Rod??? A new week and a new installment of I never knew... And this one is again courtesy of the podcast, Something to Wrestle with Bruce Prichard. 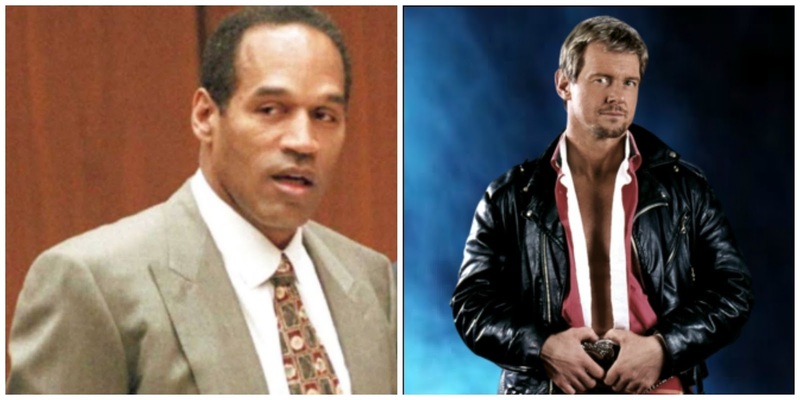 Bruce and co-host Conrad Thompson discuss the match that was supposed to happen between Roddy Piper and OJ Simpson on the Roddy Piper episode of the podcast. Yes, you read that right, OJ Simpson was going to have a match at WrestleMania XII in Anaheim. To set the timetable for you, this was less than two years after OJ's ex-wife Nicole Brown Simpson and her friend Ron Goldman were found murdered at Nicole's house. OJ was the prime suspect and went on trial before eventually being acquitted in October 1995. WrestleMania XII was March 1996. The mention of such a match was the first I'd ever heard of OJ ever doing a wrestling angle. You may remember, Piper eventually ended up facing Goldust in a Hollywood Backstage Brawl. 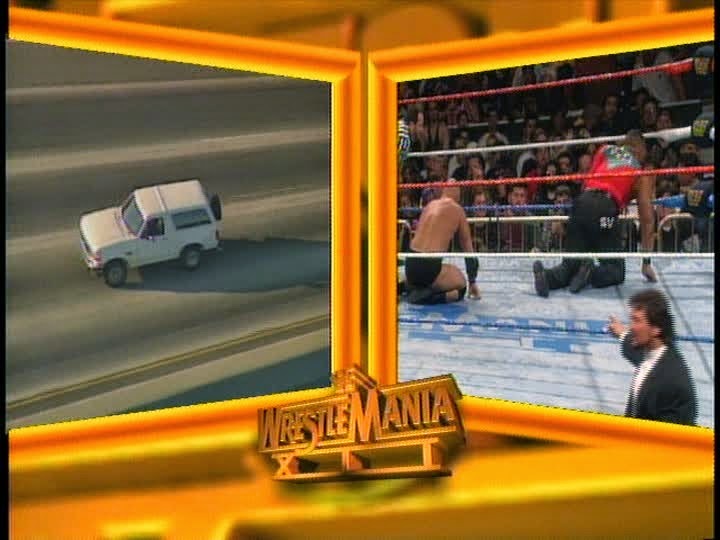 During the course of the match, Piper hops into a white Ford Bronco and chases Goldust in his gold Cadillac. The production team used file news footage of the infamous chase involving OJ's white Ford Bronco along an LA freeway. Prichard explains on the podcast that once the idea got out that the plan was for Piper to "beat the s--- out of OJ," the ex-NFL star's people declined the offer. Add to the negative reaction many outside the WWE had given the idea, it was safe to say it wasn't going to happen. There was a real fear that sponsors would pull ads at a time WWE was struggling to stay competitive with WCW. It's for the best that this match never happened. True, OJ was never convicted of the murders, but the court of public opinion had already tried and convicted him. Less than a year after the proposed match, Simpson was found liable in a wrongful death suit filed by the Brown and Goldman families. I wonder how fans would have received the match and what backlash WWE would have suffered as a result. My gut tells me this would have been a disaster and not helped in the battle with WCW.